Who says a laundry room can't look cute? 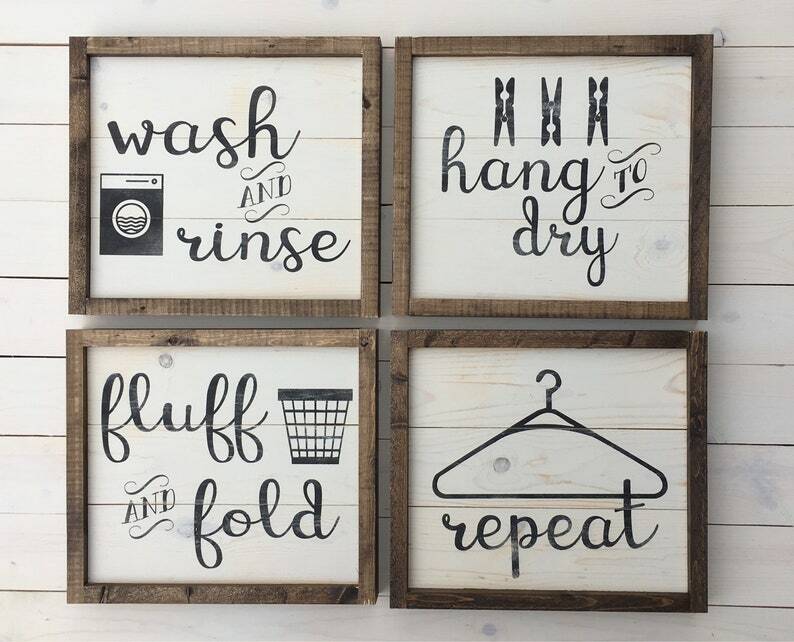 Our small set of four signs is the perfect touch in any laundry room. These are so cute and really well made. The shop got them out quickly and I am super happy with them. They really add a nice touch to my laundry room.